Well, as you may have noticed if you took a look at the "Our Team" page under the About Us tab, quite a bit of re-arranging has been done. The Proffessor and Skitty, have been with Mabimods almost since she began in 2009, I met Proffessor when he was posting on some of our threads. He is very knowledgeable, and has been a great asset to the Mabimods community ever since becoming a Global Moderator. Skitty, is well... Skitty, he knows a ton more than most, and is crazy enough to not care about people, which makes him a great moderator. They've had admin-like access to the FTP and site for the past year for Maintenance purposes (unofficially), so I decided it was nigh-time that they deserved the title of Administrator. Thank you guys for all your help, and your work with the site. Shelby and Adam/Alana (I can never tell which) applied for the Global Moderator position, and based on the other staff member's opinions, and reviews of the warning statuses, and past posts, they have been accepted as new GM's. Welcome. MCK and 小太 have exemplified themselves through the years of being with Mabimods, of having slim to no warnings from me, or any staff member, and they've always been a welcome addition to the forums wherever they post. So that being said, they have become Board Moderators. 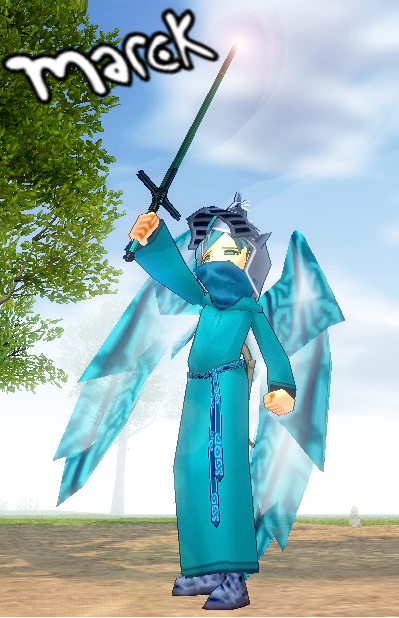 MCK: The Courtyard, Mabinogi News, and Feedback. 小太 : Client Modifications, Tech Support, and Development. Mr.H has recieved the title of GRAMMAR NAZI. FEAR HIM. Congratulations! I hope all of you had a wonderful christmas, and for those that recieved their respective permissions and promotions, consider this a bonus Christmas gift from Mabimods to you. I have a question though, does the Grammar Nazi title, carry the same power as it did with the previous one? This is my acknowledgement to the staff. Thanks. I really don't even know the weight it carries so I'll be avoiding any strange buttons for maybe a couple months. Grammar Nazi's just make sure posts have good spelling, punctuation and everything makes sense. Oh, good I already semi know how to do that. So, it's the same as before, if I'm remembering it correctly. I can't hate you enough. Grats to MCK and Playtime. Global editing yes, but without the other privileges of a Global Moderator. Grammar Nazis just make sure posts have good spelling, punctuation and everything makes sense. Thanks for the position, Marck. Hope to be of help to the site. You all deserve your positions. @Ducky: HAH, now you'll spend alot more of your holidays reading idiotic posts. From me. @Mr. H: G'luck with your new tasks. You're gonna need it for when those members who can't spell, join. "Me noU sperK na EngisheE, whEr g3T de m0dz? i juS eask fo hElP and u rude Me." Chris, when'd you change your name to Austin? After I did the laundry. Wait, it was laundry right? My memory is failing me. I'm at an old and forgetful age of 15. You've gotta admit, that was just...wow-tacular. I know I couldn't find anything better sadly. I'm fine with that. It's a better statement than "...that's just horrible." Page created in 0.317 seconds with 171 queries.